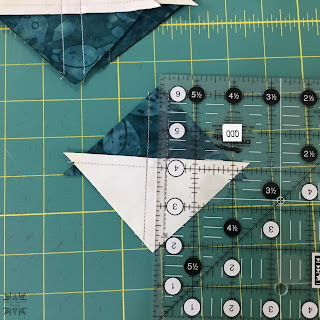 Quilting Affection Designs: Graceful Points QAL Kick Off Day! Yeah! 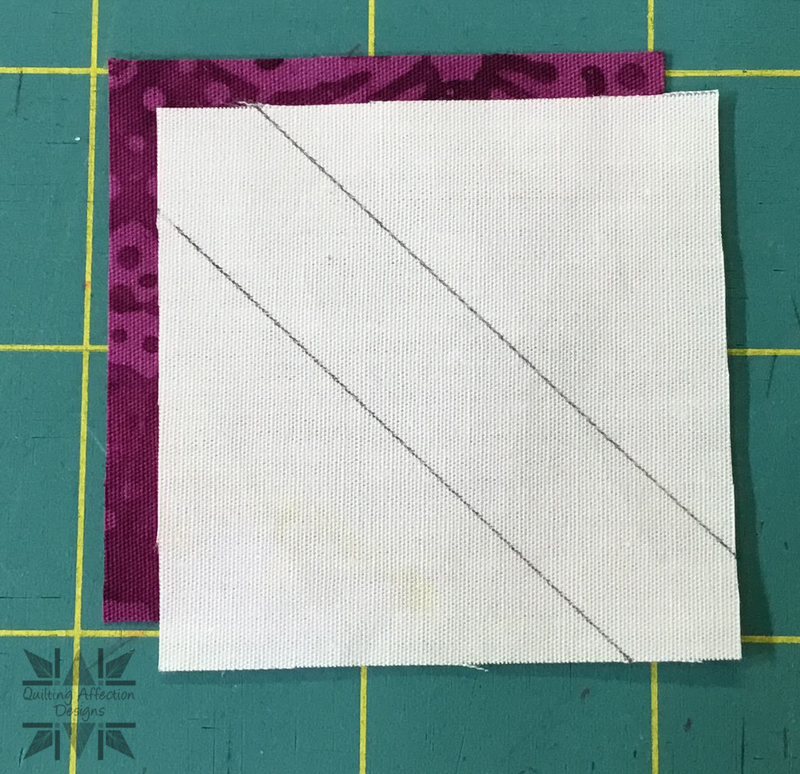 It's time to get started on the Graceful Points Quilt Along (QAL). 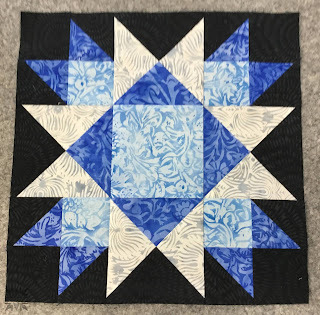 Thank you to everyone who plans on participating, and I do also want to thank Deb Tucker Studio 180 Design for giving me permission to use the BlockBuster Blocks in this Quilt Along. I am hoping you will have great fun for you all. Before we start all the fun, I want housekeeping chores before we start. 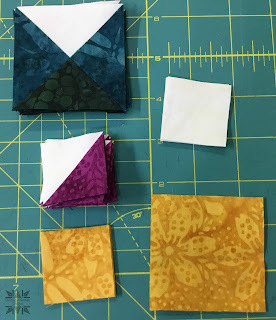 Starting with going quick over the QAL. 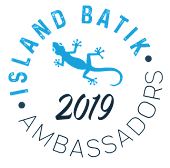 Please remember to read your Newsletter and Blogs, this is important in providing you update and notifications, plus valuable information on the blocks. You will need to subscribe to my Newsletter and Blog to receive notifications on when the next block is ready. 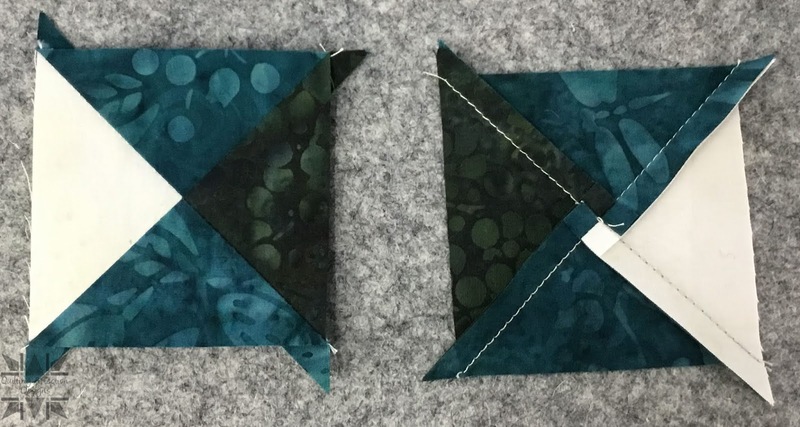 Both of My Newsletter and Blog Posts will provide you with valuable information, such as updates and announcements when the blocks are available. Each of the Blog posts will provide you with two essential items to help you make your blocks successfully. First off, they will provide you a Download Link to the Block Instructions and BlockBuster Pages which are both needed complete the block. 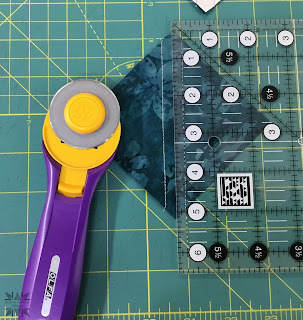 Secondly, the blog also provides you with a photo tutorial on how to make each of the units used in the blocks. 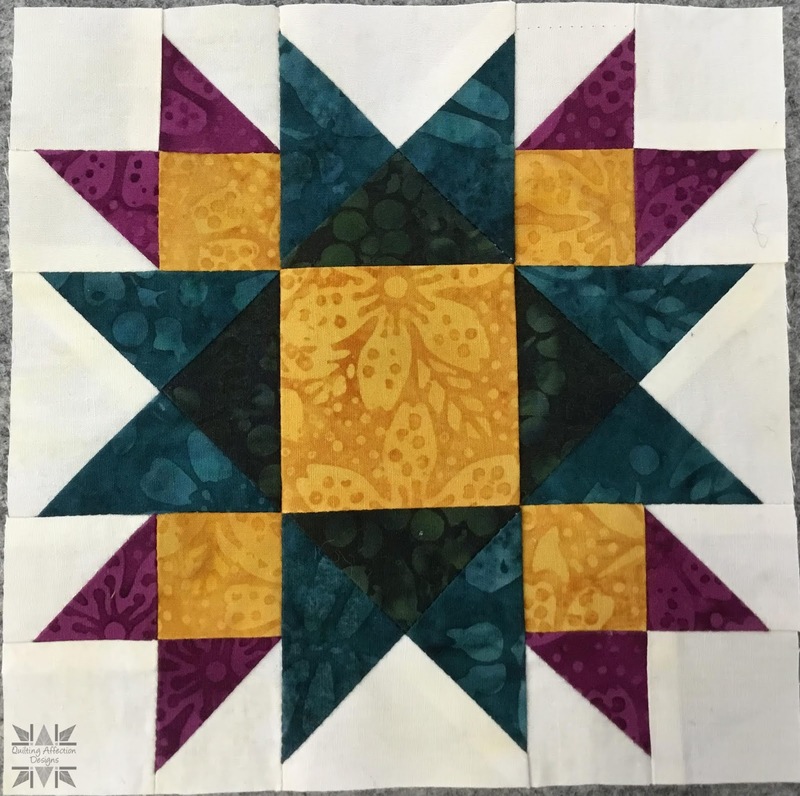 A new block will be posted every two weeks. 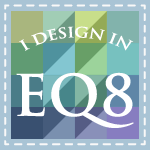 I will provide the dates and tools that will be used in the next block so you can have them ready. 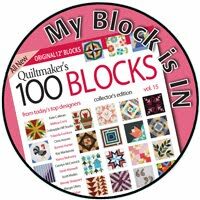 If you forget to download a block don’t worry, I will be leaving the blocks up on my website so you will have unlimited access to them. 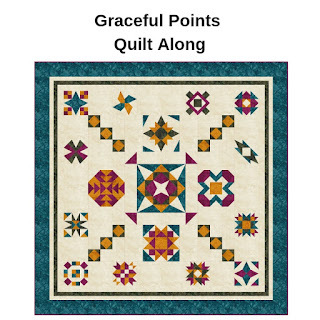 If you need the details on the Fabric Requirement, Studio List or Color pages for the quilt, you can find that in the original announcement: Graceful Points Quilting Along Coming February 2019. 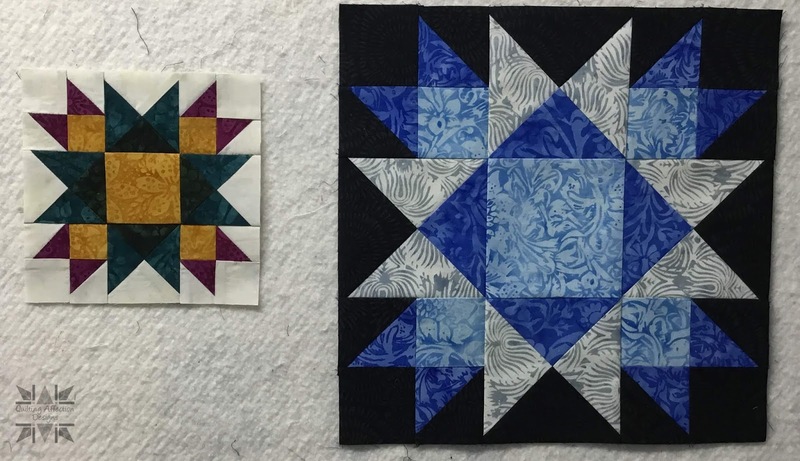 Remember, we will be working with two different sizes of the quilt, so you will have your choice in quilt sizes. 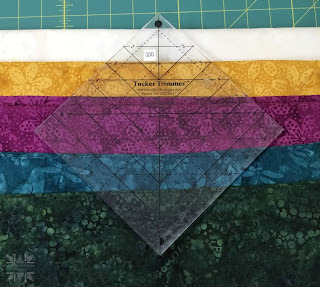 Wall Hanging that will measure 62” x 62” will use three different block sizes 6”, 9” and 12” blocks and a King Size that will use the 12” and 18” block Sizes. We will have a total of 17 blocks to complete, we will be finishing up around the End of August. Some weeks I will be adding bonus blocks or units in this will aid in the finishing process. The finishing Instructions will provide at the end of the QAL. 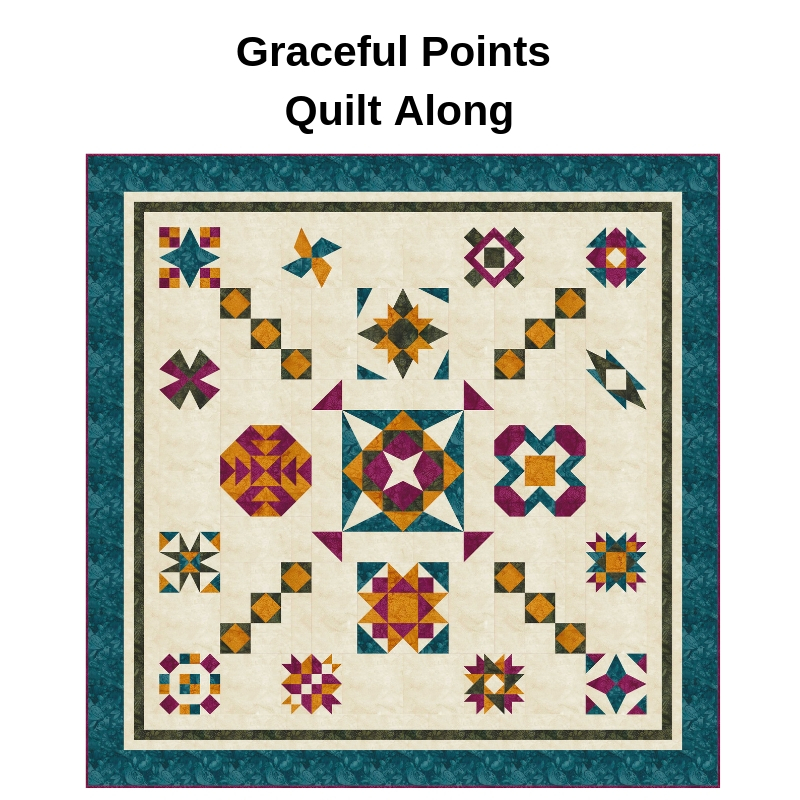 You can join the Graceful Points QAL Facebook Group. This group is not required but is fun and you can post questions to the group if you are having problems. (Please Note: You must answer the question provided to get approval). You will only need to make one of each of the Blockbuster Blocks, so these are easily manageable in 2-3 hours to complete. The Fabrics I will be using in the Wallhanging are from the Island Batik “Birds and Bees” Fabric Collection, and the King is from the Island Batik “Londons Calling” Fabric Collection. 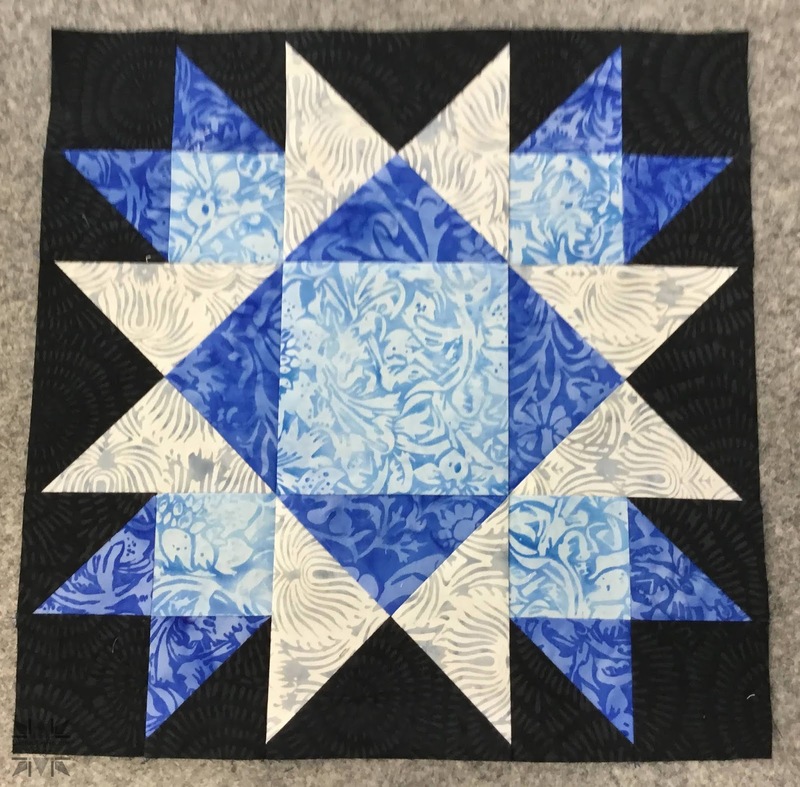 We will be starting off with Block 1 by making BlockBuster #1 – Ohio Star Variation. 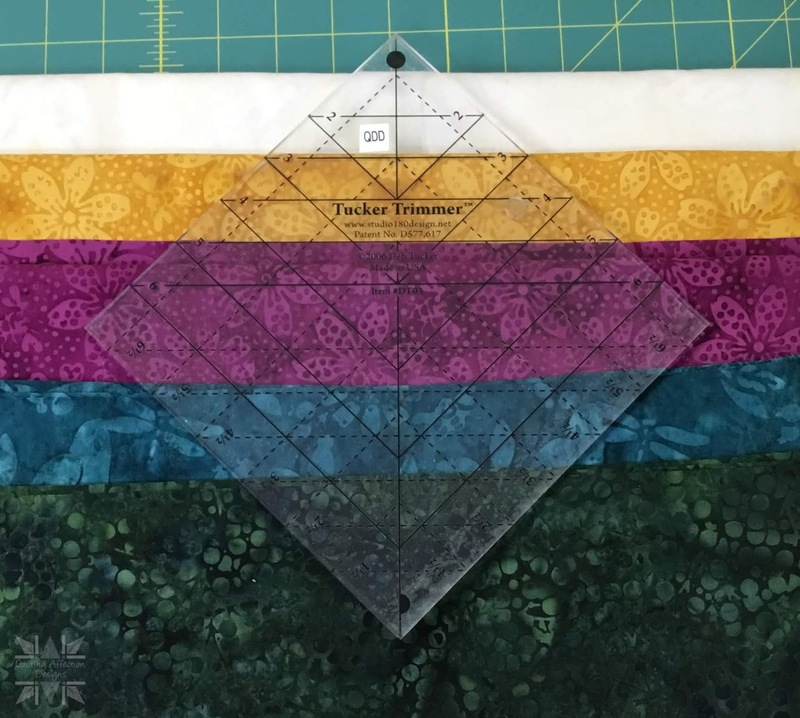 If you are making a Wall Hanging your block will be 6" when finished, and if you are making the King, it will be a 12" block. Remember we will be just making 1 block. 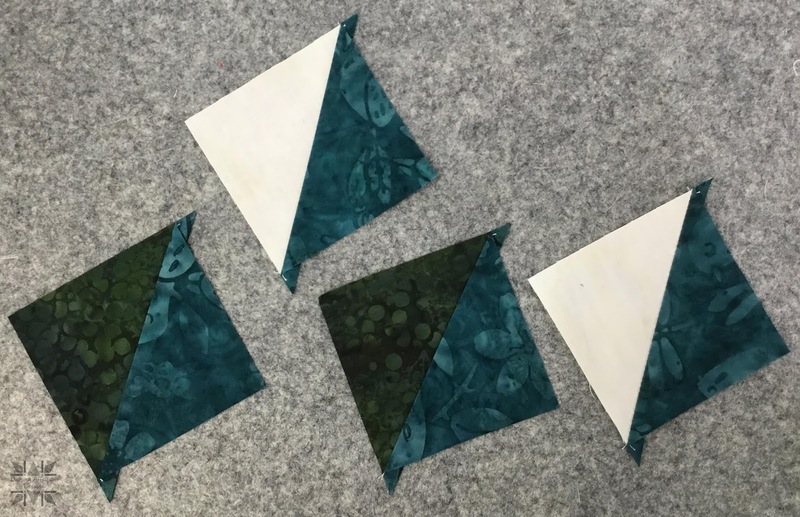 This block consists of making 3-Colored Quarter Square Triangles and Half Square Triangles using your Tucker Trimmer® 1 tool. 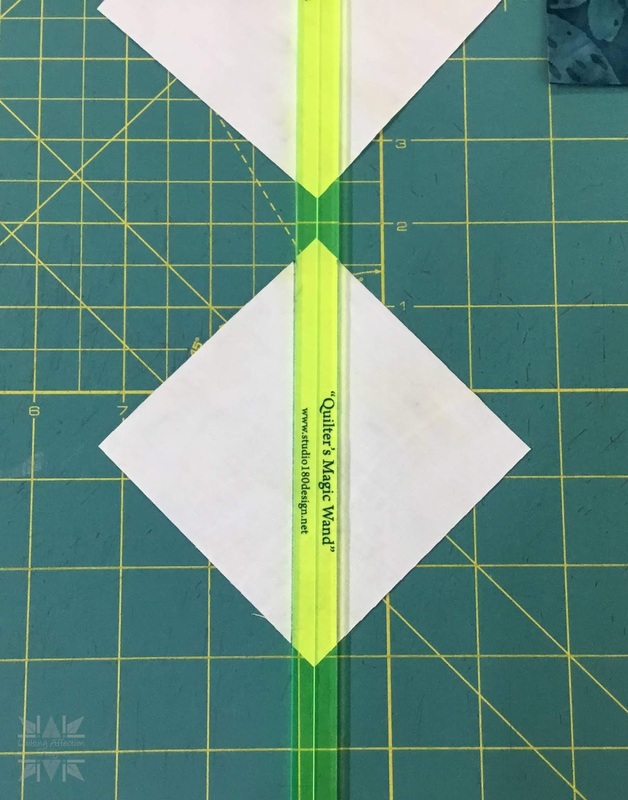 You will also need your Quilter's Magic Wand. 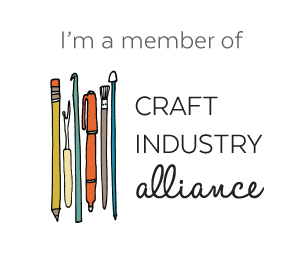 If you don't have these tools, you can purchase them on my website. 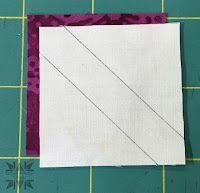 You will need all four of your Colors (C1, C2, C3, C4) and Background (BG) fabric to make this block. Before we start the tutorial, please remember to Block Download both the Block Instructions and blockbuster block both required. Please remember that the pictures used in the tutorial are for the 6" block. 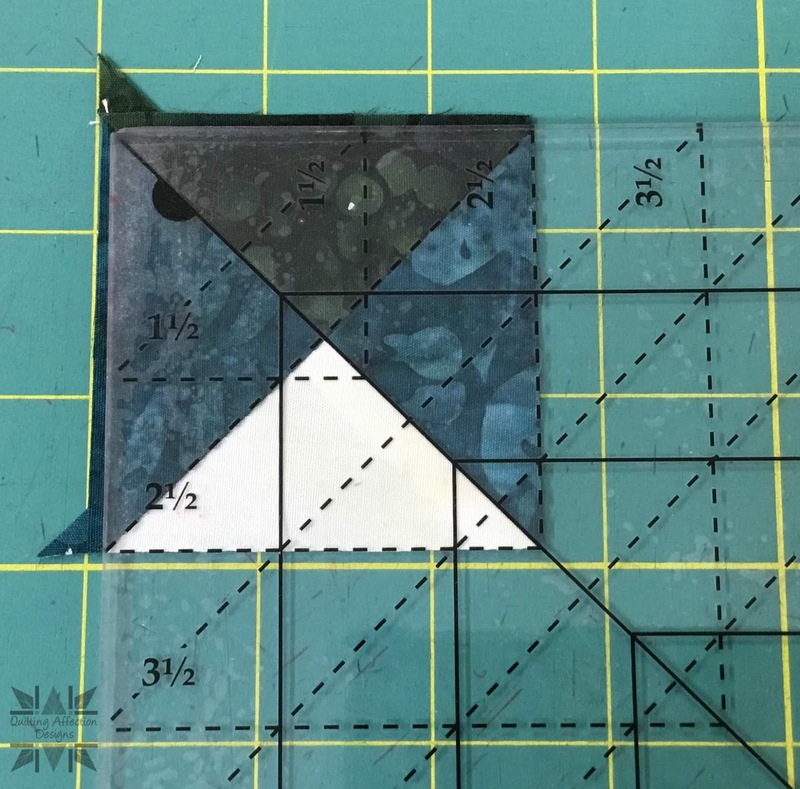 Be sure to read the Block Instruction to get the correct cutting and trimming sizes for the 12" block, which are indicated in (Blue) parenthesis. 1. Gather fabrics and follow the cutting chart on your Download Block Instruction sheet and cut all your squares for Unit A-Quarter Square Triangles. 2. 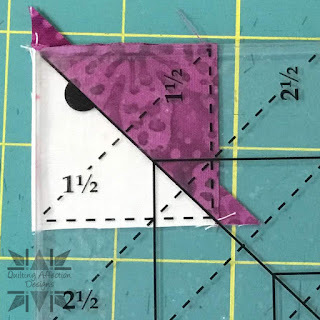 Using your Quilter's Magic Wand, mark two stitching lines on either side of the center diagonal line on the wrong side of the two C3 Squares. 3. 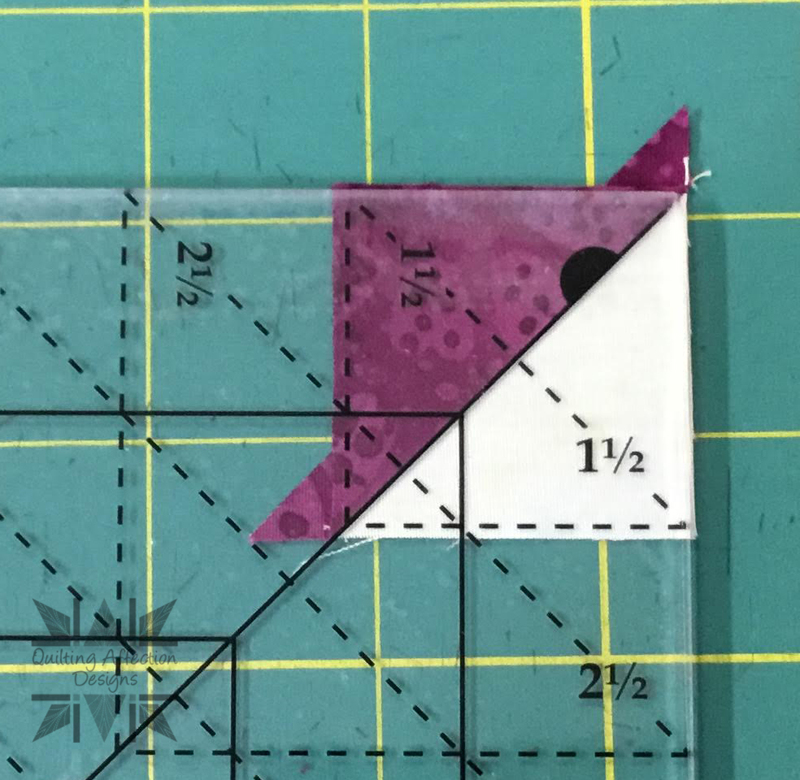 Position the C3 squares on squares on top of the other cut squares, as indicated in your Block 1 instructions. Making sure to line up all the edges and points. You may want to pin the units together in place for you to begin stitching. 4. 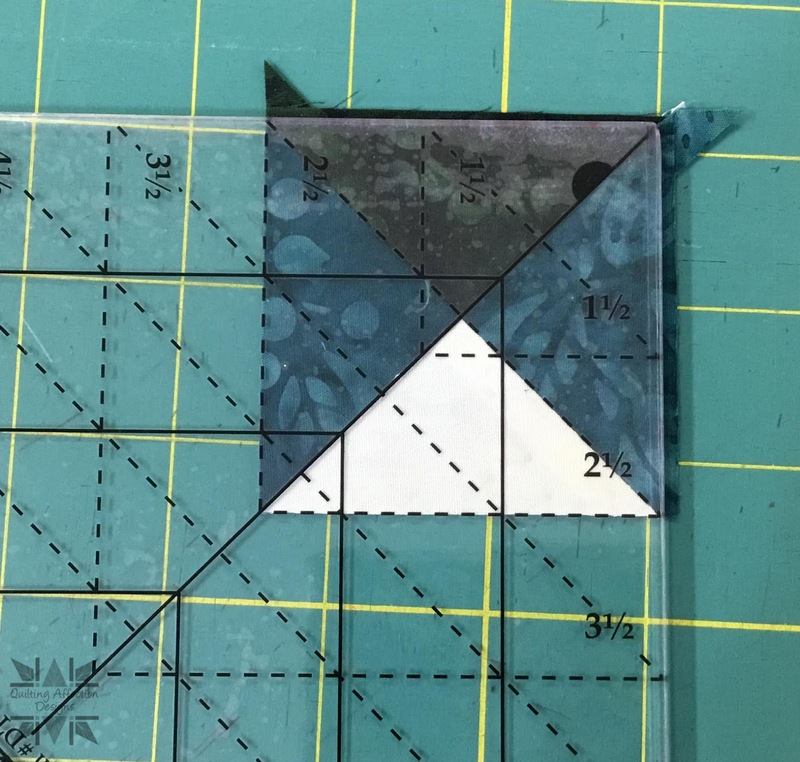 Cut down the middle and Press according to your instructions, the C3 fabric. Don't trim these units down to size just yet. We need to finish first. 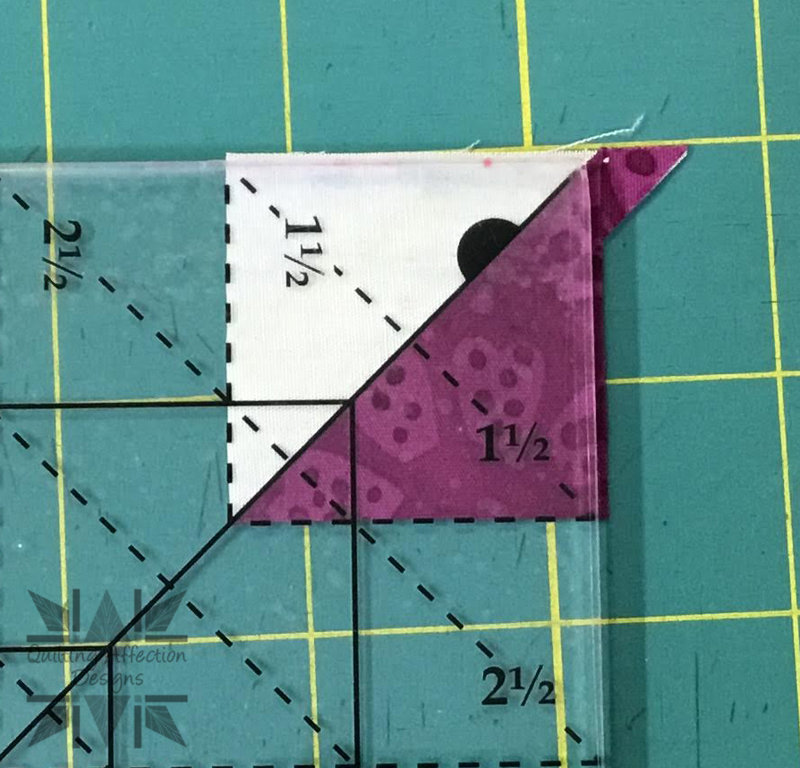 You will have two different sets of the Half Square Triangles, BG / C3, and C3 / C4 units. 5. 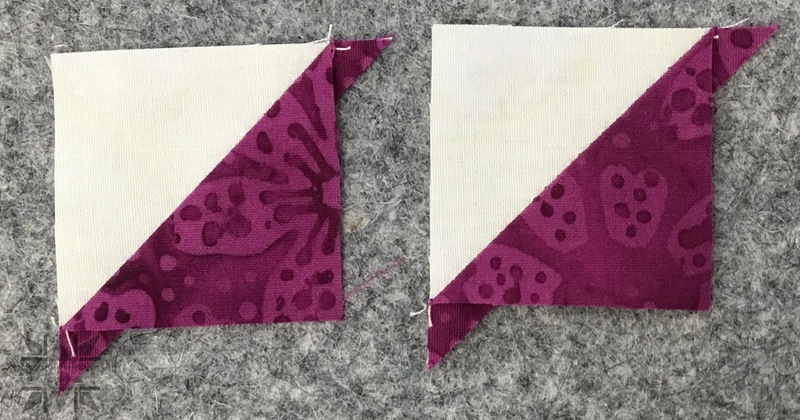 Next, position a BG / C3 on top of the C3 / C4 units, assuring the C3 fabric are the opposite of each other. 6. Using your Quilter's Magic Wand Mark two more stitching lines on the back of the one the half square triangles. Stitch and Cut down the middle as we did before with the Half Square Triangles. 7. 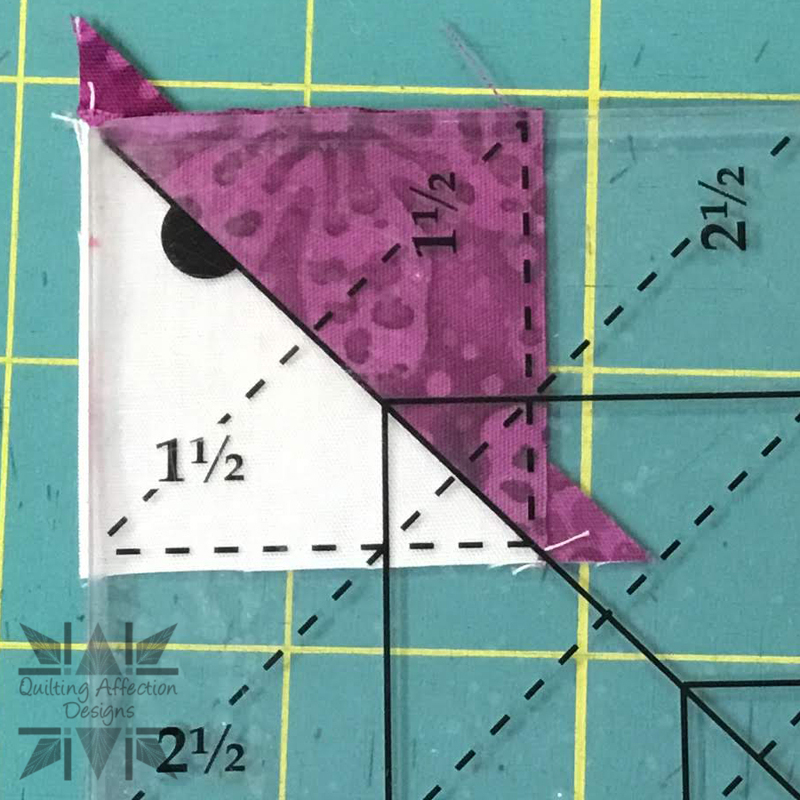 Press the seams as indicated in the instructions. 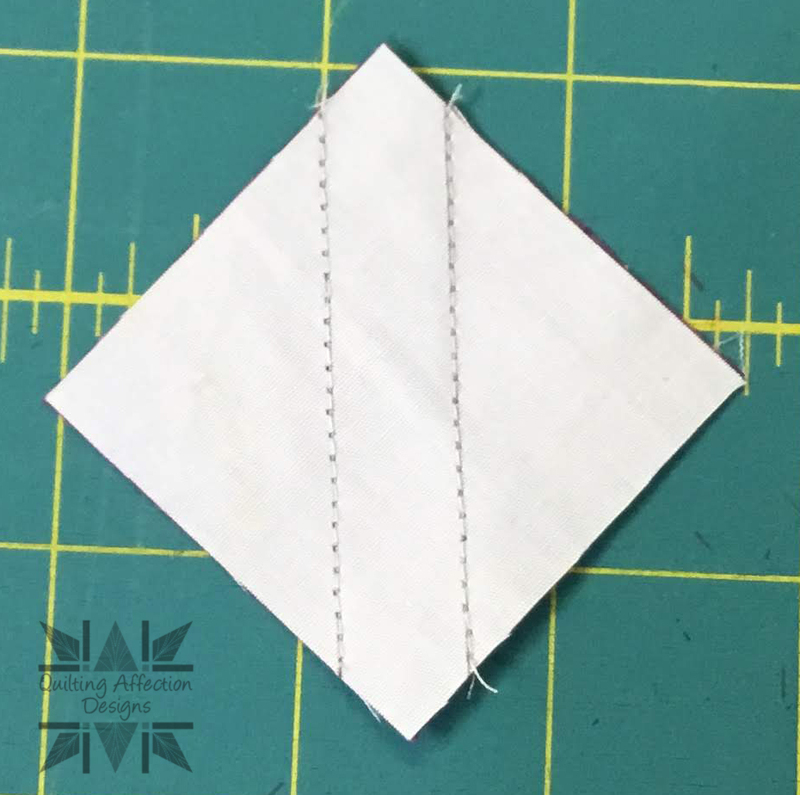 It is recommended that you spin your Quarter Square seams to make sure they lay flat. Make 4 Unit A Quarter Square units. Now we are going to make 8 Half Square Triangles using C2 and BG Fabrics. 10. Gather 4 BG and C2 squares from the Unit B section on your Instructions. 11. 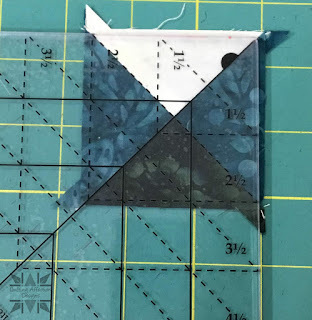 Using your Quilter's Magic Wand Mark two stitching lines on either side of the center diagonal line on the wrong side of the Background squares. 12. Position Background Square on the C3 square. 13. 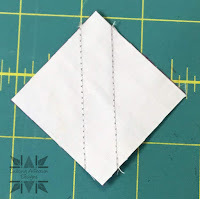 Stitch on the drawn lines, then cut down the middle. 14. Press toward the dark. Make 4 Unit B Half Square Triangle units. Now, The assembly of Block 1 is easy to follow, you will want to make sure you have the Blockbuster page Downloaded to make sure you lay out the units correctly. 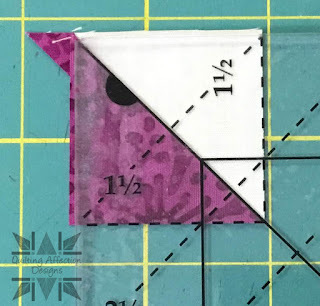 Be sure to Pay Attention to your Unit A Quarter Square Triangle placement to the BG is facing the correct directions. If you have not done so, make sure you cut our your Unit C, D, and E before assembling your units. 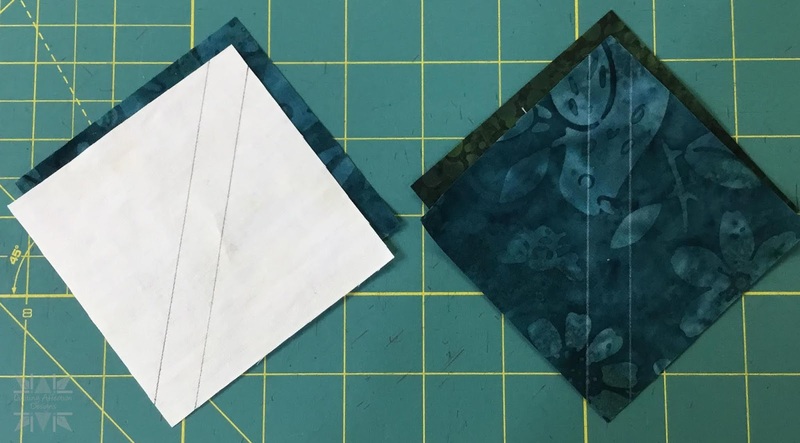 Pressing your block; I'm leaving the press to your preferences so you can either press your units open or to the side, so they nest together. I have supplied a pressing diagram that is located on the last page of the block 1 instructions. 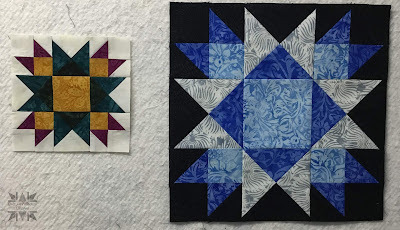 Well, that's it for Block 1-Ohio Star Variations. I hope you will share your photos in the comments below or on the Graceful Points Facebook Group. 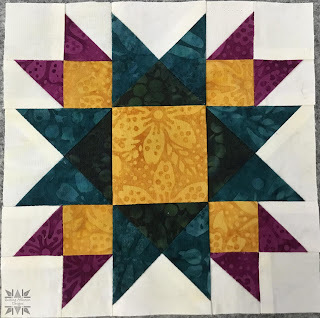 The next Block will be posted on Friday, February 15th. 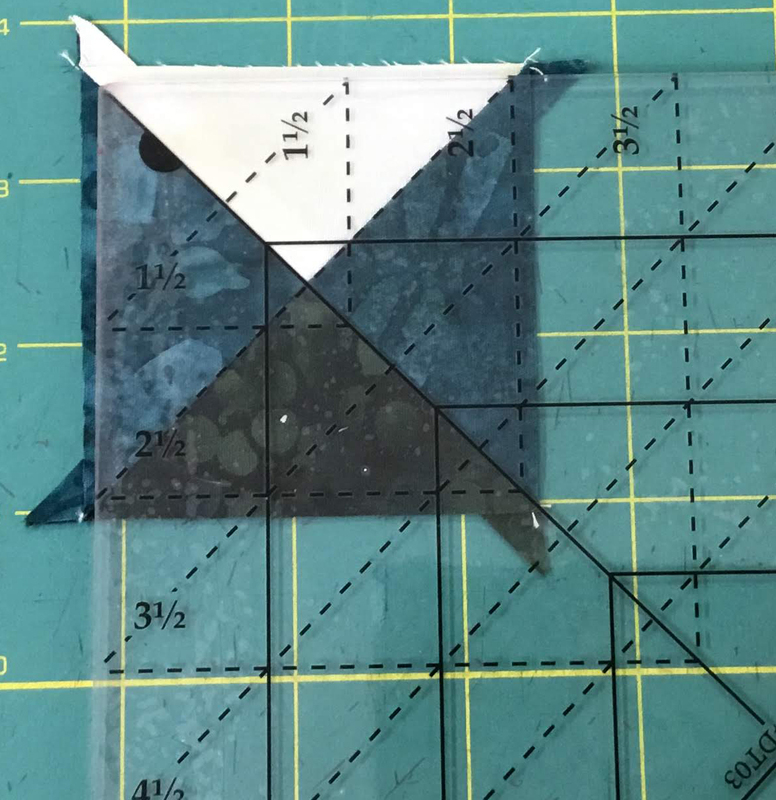 We will be using the Tucker Trimmer® 1 and the Shaded Four Patch Technique Sheet. 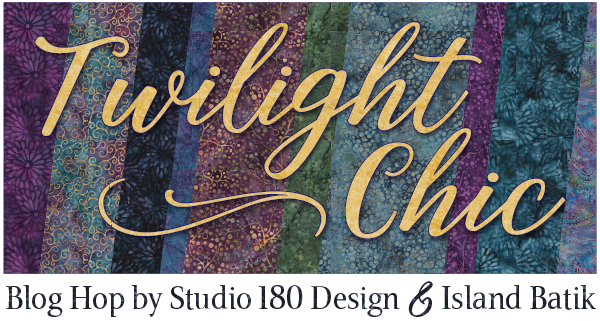 If you don't have this sheet, it can be purchased on the Studio 180 Design Website. It's not required but recommend to build your Studio 180 toolbox. 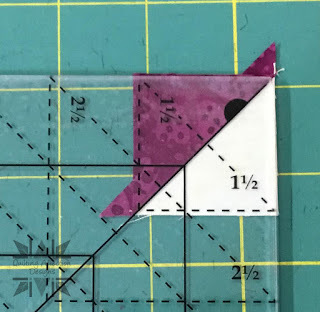 when doing the 12" size shouldn't the E square be cut at 41/2"? Yes, you correct they should be cut out at 4 1/2". I will correct that in the Block Instructions now. Is there any way that you can make this into a pdf file? I don't have any word processing software on my laptop and it would be wonderful to not have to copy and paste into an e-mail to myself! 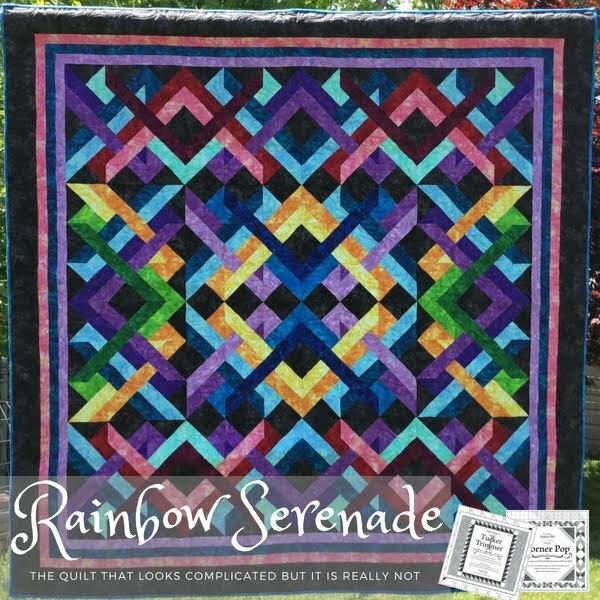 Love your colors and wonderful pattern!